The Logic Controls MR3300 has been discontinued. No direct replacement is available. 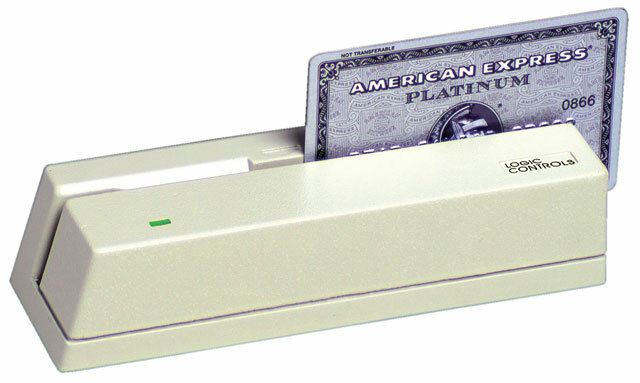 The MR3300 Magnetic Stripe Reader (MSR) family features a built-in decoder to read tracks 1, 2, and 3. The housing is made of a specially designed, heavy die cast steel for unsurpassed stability. Stainless steel card guides give cards an extra smooth ride. The bi-directional reading head uses a highly durable material not found in most units today. A two color LED indicates a Good/Bad reading. This unit can operate with or without the conventional 101 keyboard being attached. Wedge and RS-232 interfaces available. USB interface, Tracks 1, 2 and 3. Color: black.